From Nancy: solicited my dad to do this for one of my projects, since I'd forgotten how to use the flaring tools my dad had left with me after we did the new line for my '69 (and then didn't connect it), and so I could take pictures for this page! 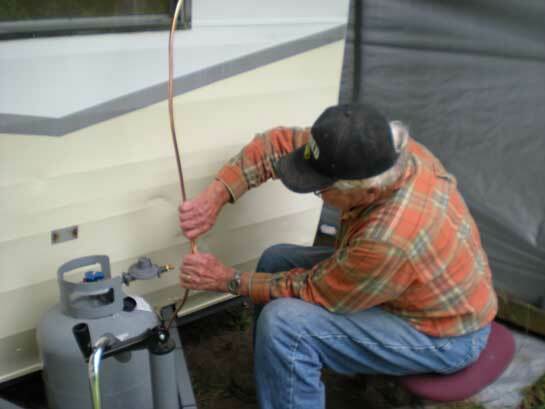 You'll need copper tubing - we used 1/2" to connect to the tank. Make sure you've got enough to connect before you cut it to size. You'll need a flaring tool kit. 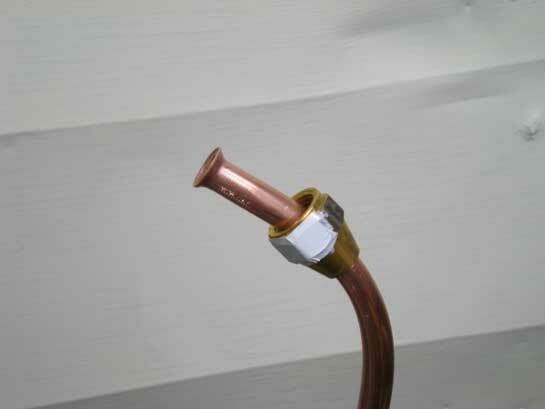 First be sure to put the flare fitting onto your copper tubing! 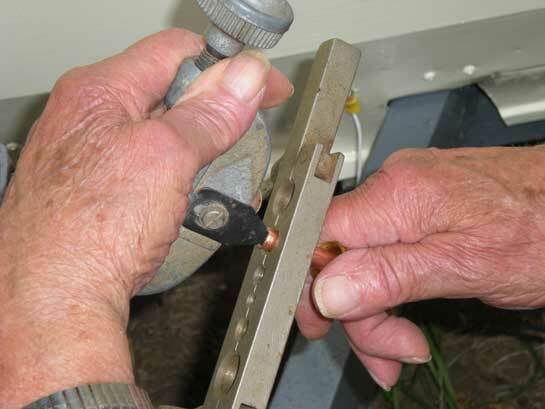 for making the flare, and lock it in place, using the side lever. Ream the end of the copper tubing to make sure there are no burrs. 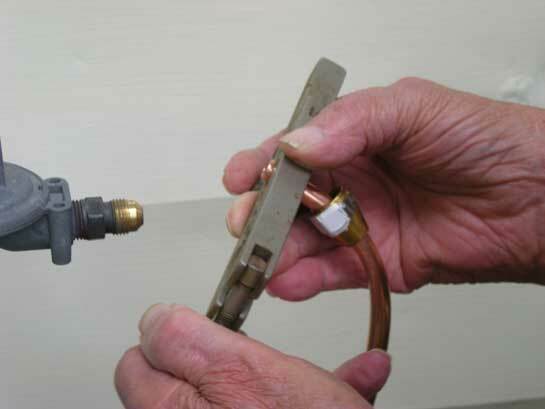 Attach the part that creates the flare - this part kind of works like a cork screw. 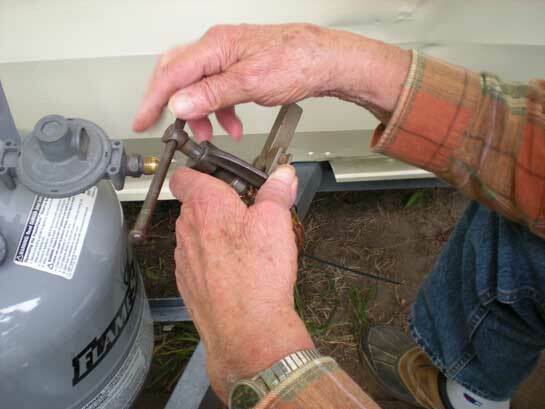 As you turn the crank, the triangular part goes down and creates the flare. Voila! A perfectly created flare!